Wire harnesses can be tricky without the help of an experienced wire and cable manufacturer. At its most basic, a wire harness is an effective way to organize wires or cables by grouping or bundling them together in order to transmit signal or electrical power. They can be used in almost any application that requires multiple wires or cables. 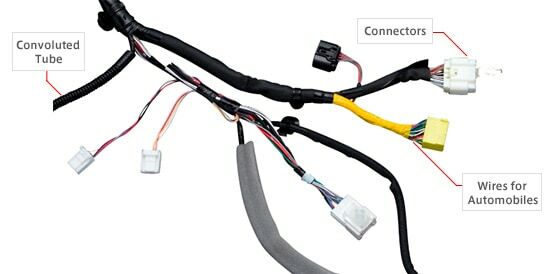 While many of these harnesses are complex with multiple wires and components, they don’t have to be. A wire and cable manufacturer is able to design and produce a wide variety of complex or simple wire harnesses that are truly tailored to the needs of your project. Complex equipment and machinery often require a great deal of wiring to function. Running each and every one of these wires separately can be time consuming. Additionally, that many wires can be bulky if there are space constraints, and keeping multiple wires organized and running in the right direction can be challenging. Integrating the component cables and wires into a single harness allows for faster, easier installation that doesn’t take up more valuable space than necessary. However, there’s more to it than just a neat and tidy wiring system. In some cases, it is extremely important to prevent certain wires from coming into contact. Designing a wire harness instead of running individual wires allows a wire and cable manufacturer to better protect the conductors from environmental issues like vibration, moisture, heat, cold, and abrasion. Bundled wires can also be further protected from shorts and electrical fires by using non-flexing or flame retardant jacketing materials. This makes manual assembly more economical, especially when working in small batches. The manual assembly process also means wire harnesses can take a little longer to produce than individual wires. It’s vital to work with an experienced wire and cable manufacturer that understands how to keep the production process on schedule. No reputable wire and cable manufacturer would deliver a wire harness that has not been fully tested. However, the sheer number of cable and wire components makes this process a little more involved than testing individual wires. That’s where a pre-programmed test board comes in. By programming the test board with the required electrical characteristics for the project, we are able to plug in the finished wire harness and test the components individually or in groups as needed making for a safer, more stable final product. An experienced wire and cable manufacturer is a valuable partner when you need a well-designed wire harness. Not only are they able to design a harness that meets all of the requirements of your equipment, but they are also knowledgeable enough to understand the time and budgetary challenges involved in producing a complex solution. When you’re ready to start your next project, contact the team at Meridian Cable. We look forward to talking with you. Most people don’t spend a lot of time thinking about the wire harnesses that are literally all around them. In many cases, these wire harnesses are powering or carrying information to equipment we use every day at home or at our jobs. Since they tend to be hidden away, we often don’t realize how important the design and manufacturing process is to the proper function and safety of our equipment. Luckily, reputable wire and cable manufacturers take their processes very seriously. At its most simple, a wire harness is a group of wires or cables that have been covered by an exterior sheath. In many cases, they also have their own coverings. In general, they are used to organize a wiring system as opposed to providing protection from factors that could cause damage to the wires. The first step to manufacturing a wire harness is to identify the problem it is meant to address. Each piece of equipment has certain electrical and geometric requirements. For example, wire and cable manufacturers may be required to design a wire harness that fits into a limited space and meets certain electrical safety requirements. At Meridian Cable, we like to gather as much information as possible at the beginning of the process to ensure the finished harness is tailored perfectly to each piece of equipment. Once our engineers have a design in hand, we gather the components and begin cutting the wires to the appropriate lengths using a special wire-cutting machine. The next step is to strip the wires and fit them with terminals and connector housings. Then we set up a workbench or assembly board to the design specifications. An assembly board is a full-sized diagram of the harness that shows all components as well as their locations. Only then can we get to work assembling the wires into a harness…by hand. Since there are many processes involved in assembling a wire harness, it is often more efficient for wire and cable manufacturers to complete it manually, especially for small batches. However, depending on the specifications and complexity of the design, wire and cable harness manufacturers may be able to automate some of the steps in pre-production. 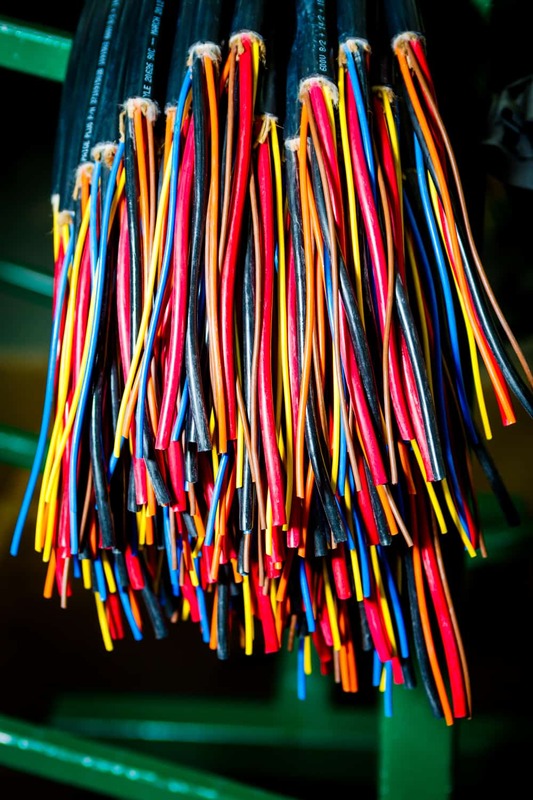 Because safety is one of the most crucial considerations for any wire harness, assembly isn’t the end of the process for a reputable wire and cable harness manufacturer. It is important to put the harness through multiple safety checks. Not only are Meridian’s manufacturing facilities UL-certified, but we are also committed to designing only the highest quality products for each and every client. No matter how simple or complex a wire harness, it must be safe and function as expected. By working with an experienced wire and cable manufacturer, you can ensure your finished wire harness is both safe to install and use, and meets all of your electrical and geometrical requirements. The team at Meridian Cable works hard to make sure all of our clients get a custom harness that fits their needs. Contact us when you’re ready to talk about your next wire harness project. There are many reasons to create a prototype for your custom cable assembly, but one of most compelling is that it helps you ensure your finished assembly will function as expected. Prototyping makes it possible to extrude a cable with the appropriate voltage, required wire gauge, and optimal heat rating without any guesswork. Even further, creating a prototype can help you simplify the production process because your cable assemblies manufacturer can work all the kinks out and address any issues before they produce the full run of the final product. When working with clients, we have run into a few general questions about prototyping that we wanted to take a moment to address. Is working with a cable assemblies manufactuer on a prototype expensive? While there is certainly a cost associated with producing a prototype, doing so can help you save money overall. Creating a prototype also helps save time when it comes to choosing the right materials. If you don’t create a prototype, you may be in the position of experimenting with different types of products and wiring systems to determine what will be the best solution for your application. The cost of these experiments can add up. An experienced custom cable assemblies manufacturer is able to produce a full-scale, fully functional (in most cases) prototype that allows them to determine whether the assembly is feasible and practical from a technical and financial standpoint. If design flaws are discovered, it’s much easier and cheaper to address them at this stage. Will a prototype be an exact representation of the finished cable assembly? Yes and no. While it is possible to produce a prototype that looks and functions exactly as the finished product, it’s not always necessary. Each prototype is produced to have the level of functionality that is necessary for each project. This allows the manufacturer to isolate the specific design or manufacturing issues for each application. Your project may or may not require a fully functional prototype, but it is certainly possible to create one if necessary. Are there any drawbacks to prototyping? Producing a prototype gives a cable assemblies manufacturer the opportunity to test an assembly design in real-world conditions. While you may be focused on a few potential issues, it’s important to remember to test the prototype’s functionality in every way so design flaws can be addressed immediately. It’s also a good idea to address any issues with ownership of intellectual property in the prototyping phase. In general, it’s much easier to clear up any issues with intellectual property before you have produced the final cable assembly. Prototyping is a critical stage of the process when working with a cable assemblies manufacturer. Not only will producing a prototype allow engineers to refine their design, but they will also be able to get a handle on any manufacturing issues and test the cable assembly’s overall functionality. This can help you save money and time, and achieve more success over the long term. If you are ready to discuss producing a prototype of your next custom cable, contact the team at Meridian Cable. We look forward to hearing from you. Do you know the difference between custom cable assemblies and wire harnesses? 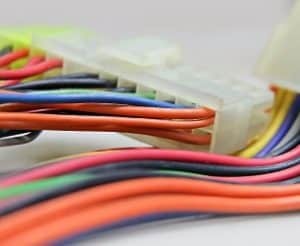 Unless you are an electrician or electrical engineer, you probably haven’t thought much about the differences and similarities between custom cable assemblies and wire harnesses. It’s not a subject that tends to come up in everyday conversation. Unless, that is, you need to run multiple wires or cables from one piece of equipment to another or to a power source. That’s when knowing the difference between wiring and cable and the strengths and weaknesses of each becomes more important. 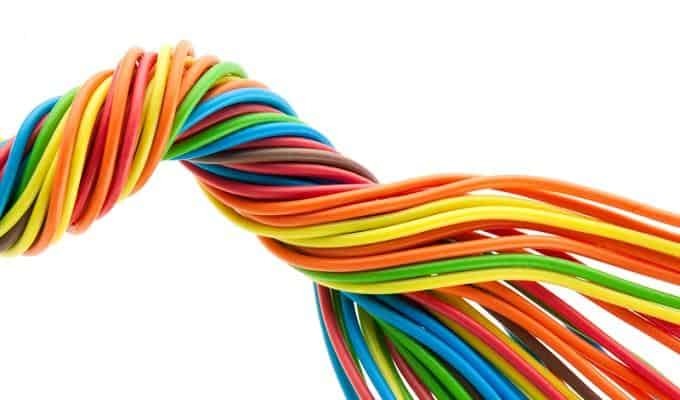 We put together fives facts about wires and cables to help you understand the difference, and why you should choose a wire harness over a cable assembly in certain situations. This fact may seem pretty obvious, but many people use the terms “wire” and “cable” interchangeably. It’s understandable. Wires and cables are similar in that they carry electricity or signal from one place to another. However, there are a few very important differences. Wires are made up of a strand (or strands) of conductive material like copper and are suitable for a wide ranges of applications beyond carrying electricity and signal. They are also one of the components that make up a cable. 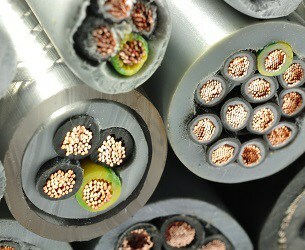 Conversely, a cable is made of two or more conductors that are insulated. They tend to be better protected than wires and are suitable for applications that require more durability. 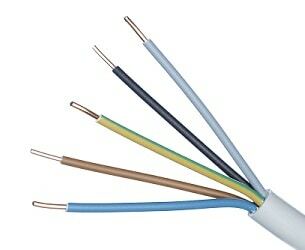 The basic purpose of both wire harnesses and cable assemblies is to bundle wires or cables. Bundling wires or cables allows you to keep them more organized, especially in situations where having multiple cables and/or wires takes up too much space or can cause additional wear that is easily addressed by bundling. A few common places you see bundled cables or wires are cars and computers. While cable assemblies are more heavily protected with insulation and jacketing material, wires usually have a thin exterior covering made of thermoset or thermoplastic material. This covering is meant to protect the environment or a person handling the wire from the flow of electricity. The jacketing material can also be color coded to aid in keeping systems organized and make it easy to identify different types of wires. With the additional materials used in custom cable assemblies, a cable manufacturer is able to design the assembly to address exposure to extreme temperatures, moisture, friction, chemicals, and more. They can also take size and flexibility requirements into consideration, so the cable is a perfect fit for your application. A cable assembly may require less maintenance and can also be easier to install since the conductors are bundled. You may be thinking extra protection means a custom cable assembly is always the right choice for your project, but that’s not always the case. In situations that require a small, lightweight option, a wire might be your best bet. Because wires are generally less expensive to produce, it can be a more affordable option — especially if the wire will be used indoors in a relatively sheltered environment. 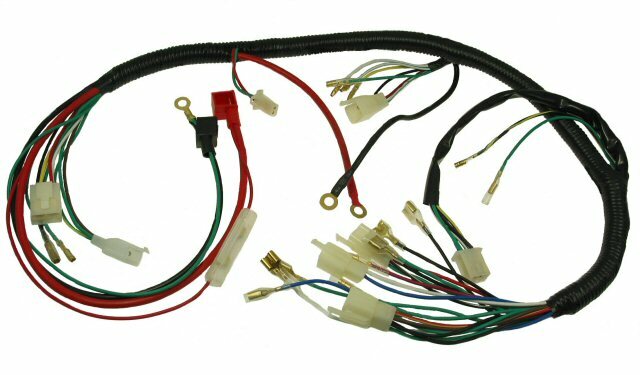 Understanding the difference between a custom cable assembly and wire harness is an important step when considering what you need for your project. The team at Meridian Cable is able to help you make the right choice for your application, environment, and budget. Get in touch with us when you are ready to get started. We’re happy to answer all of your questions. Optimize your product by choosing the right conductor and Gauges for Custom Wiring and your custom cable assembly. Make your product as effective as possible with these tips for designing custom wiring and identifying proper gauges for custom wiring. The size of a wire’s conductor plays an important role in the functionality of the final product. The gauge of the conductor material impacts the flow of signal and electricity through a wiring system and can alter the cost of the wiring as a result of the amount of material needed to extrude a conductor of the specified size. Determining the appropriate Gauges for Custom Wiring is fairly complex, and custom cable assembly manufacturers must gain an understanding of the final product’s uses and nuances such as the length of wire that will be needed to connect the terminals, the voltage or signal type that the wire must carry, and a variety of additional aspects. The wire’s resistance is dependent, in part, on the gauge of the conductor. The larger the circumference of the wire, the less resistance the signal or electrical current passing through it will encounter. If the gauge is too small; the wire’s circumference is not large enough to handle the current passing through it and the wire risks becoming overheated. This is because of the high resistance created by the current as it attempts to pass through a wire that is too small to accommodate that many electrons. This could also prevent your product from working as effectively as possible because it is receiving the wrong amount of signal. The longer the wire, the farther the signal will have to travel before reaching a terminal point. This creates increased resistance which can weaken the signal as it passes through the cable’s wire. Your manufacturer may have to use a wire with a larger gauge to ensure that the signal is able to travel across longer runs effectively without losing too much thermal energy. Gauges are a bit counterintuitive in that as the physical size of the wire decreases; the gauge is referred to by a larger number. So a 12 gauge wire is physically larger in circumference than an 18 gauge wire, despite the assumption that the 18 gauge wire would be larger. As one would expect, the larger the wire, the more signal it can carry with less resistance. Why Not Always Use a Larger Gauge? A larger gauge size does have several benefits, such as potentially reducing energy costs, but it can also increase the cost of your product and prove to be unnecessary past a certain extent. The additional cost results from the increased copper or conductor material that will be necessary to make the conductor. However, extremely small conductors will also increase the cost of your cabling assembly as a result of the extensive extrusion process that they must go through. Custom cable assemblies are intricate and it’s important to work with a manufacturer who understands this and has experience producing custom projects. Ask your manufacturer about their production and sourcing process, as well as similar products that they have made or provided service for. This will help you to determine their level of experience in your specific industry. It can be difficult to in that your cable manufacturer offers and which ones will be best for assessing your product. Your guide to understanding the quality assurance testing options offered by your cable assembly manufacturer. Despite the effort and planning involved in developing and designing wiring products, no wiring system is ever truly tested until it is placed in real-world scenarios. This is because it is so difficult to assess the way that a wiring system will actually work when put to the test and used with another highly specific product or machine. The type of testing that your custom cable will need to endure depends on several factors such as the product that it will be housed in, the cable or wire’s function, and how it will be handled on the job. Advanced life testing labs are designed to put your custom assemblies and custom cable through rough conditions to see how durable they are while in use. This testing system can be as simple as attaching weights to the wire’s connectors or terminals to gain a sense of the wire’s strength, to more advanced testing designed to assess how the assembly might react to real world use. This type of testing is designed to provide you with an idea of the amount of wear and tear that the final product will be able to handle to determine if any adjustments need to be made prior to large-scale manufacturing. Advanced life testing is particularly common with coiled cords which tend to encounter stress resulting from over-stretching more than traditional cords. Tensile strength is the amount of force that a wire or cable can withstand before breaking. This is necessary for wires and cables that will be used in heavy duty industrial projects and are likely to be handled roughly. One way of testing tensile strength is to conduct pull testing. Pull testing applies force to both ends of the wiring system to determine how much force the wire can endure before losing its functionality. This may be a useful test to consider if your product will be in a rugged environment or will be used in a mechanism that will require it to withstand force or tugging. Different types of cycles to failure testing can be performed depending on your custom wiring needs such as the product’s intended lifespan, if replacement parts are feasible for this product, if the product will encounter any chemicals, and any additional machinery the product will be exposed to. This type of testing is so beneficial because it can be used to determine how many times a cord can be stretched before breaking, how many times it can withstand weight or force being applied to it, or simply how many times a coiled cord can be pulled and recoil before it begins to lose functionality. This type of testing can also be used to benchmark products and then test subsequent revisions to gauge how much improvement is gained through design changes. This is another important factor to consider when determining if the cable or wire that has been produced will be able to withstand the unique conditions that your product must function in. This can be tested through the use of prototypes to see how the product will function in real-world conditions. There are also mechanized ways to determine the jacketing’s flexibility to ensure that it will not begin to bend or crack while in use. This type of flexibility testing becomes very specific, and there are even different types of tests that can be performed based on the type of motion that your specific product will encounter. The different types of motion that can be assessed include rolling flex movements, bending flex motions, and random motion. Ask your manufacturer and design team to help you assess your final product’s type of motion, if any, to ensure that the end product works as efficiently as possible. It’s important to assess whether or not your product can withstand the wear and tear that it will encounter before your team begins manufacturing custom cable assemblies, assembly cabling, and other wiring products on a large scale. Ensuring that your wiring can withstand the various stresses that it will encounter throughout its lifespan, with minimal need for service and repair, is important to the reputation and longevity of your product. Taking the time to test these elements and make various prototypes may seem like it’s putting a drag on the production process; however, this attention to detail and rigorous testing will pay off in the long run, resulting in a product that is ideal for your industry. How do you convey to your manufacturers and designers the features that are most important to the success of your wire harness? If you’re not working with a manufacturer that has years of experience in a variety of fields, it can be tough to ensure that they have a full grasp of the wide array of conditions that your product needs to be able to function and work efficiently while including the right components for your wire harness. To help you do this, it’s important to assess which conditions and factors must be taken into consideration when crafting wire harnesses. How does the location of the wire harness factor into its development? Will this product be indoors or outdoors? Will the wires and cables used be exposed or housed within a product? What kind of temperatures do you expect the product to be in? Is it likely to be extremely hot or cold? Will the wiring be pulled on or bent? Will a coil cord be useful so that the product can stretch and retract neatly? Are chemicals, water, or other wires expected to be near this product? This is a useful set of questions to begin considering when conveying your product’s needs and specifications to a design team. There are extensive lists of industry standards and guidelines to follow when determining the best type of wiring to utilize and these are just a few of the factors to consider in this process. For this reason, as well as safety concerns, it’s important that you work with a manufacturer who is familiar with both national and international standards depending on the scope of your product’s market. 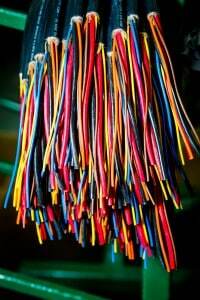 How do outdoor and indoor Wire Harnesses vary? If your product is intended for outdoor use, you’ll likely be in the market for a thicker set of cables. This will likely require the use of a cable assembly, as they are more durable and have several layers of insulation to stand up to wear-and-tear. This will also be more effective if you need to cover larger distances. These cables are typically insulated by heavy-duty materials, such as shrink-wrapped thermoplastic, thermoplastic rubber, or vinyl. If your product is intended for indoor use, a wire harness will likely be the best option, assuming the product will not be exposed to any harsh conditions or liquids. Wire harnesses are also ideal in situations that require a cost effective solution for transporting electricity or a signal over a shorter distance due to their smaller size and carrying capacity. Another factor to consider is whether or not the harness will be housed in another product. If so, you’ll need to consider the functionality of the product it’s going into. Does this product have several moving parts that could alter its temperature, is there a chance that the product could leak or malfunction in a way that may cause the harness to get wet or be introduced to chemicals? Using a manufacturer that creates and tests prototypes during the production process will allow designers to foresee and prevent errors before production begins on a large scale. For cold conditions, coatings that will not become brittle or rigid as a result of the cool climate should be considered. These products should be able to expand and contract as they move in and out of frigid temperatures. Ask your manufacturer to see the product specifications and certifications laid out by bodies such as UL. For extremely hot conditions, you’ll need to discuss with your manufacturer what types of temperatures the rest of the product could potentially reach and determine the heat tolerance that your wire harness will require to meet safety standards and specifications. The voltage or bandwidth that the conductor needs to be able to carry without exceeding its carrying capacity and potentially overheating or becoming attenuated. The type of metal and coatings used. Copper is one of the most common conductors due to its high conductivity. But, copper is very prone to corrosion, making it important to determine what your wire will be exposed to and the appropriate coatings needed to combat this. Terminals: this is the point at which the wire ends, it may be connected to another component or capped off depending on its use and location. 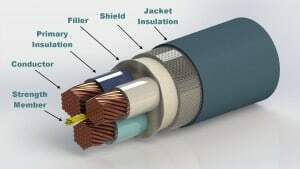 Connectors: there are a variety of connectors used to marry different wires together. Some of these are permanently affixed to the system, while others are removable for products that are likely to be portable or require interchangeable parts. Strain Relief: this is a system designed to throttle currents as they reach the terminal, this is intended to prolong the life of the terminal. Grommets: utilizing grommets will keep wires secure and in their proper place. Grommets help to maintain an organized system and will make installation and any maintenance on the product more efficient. Choosing the right components for your product’s wire harness is vital to ensuring that you have a product that will meet your unique design standards and run efficiently. Entrusting your product with a manufacturer that has experience and an understanding of a variety of fields will make the process much easier. Additionally, it’s important that you choose a manufacturer who is willing to gain an understanding of your product’s individual needs and specifications. The cable assembly—it’s one of the most critical parts of any electrical product. When a manufacturer is designing a given product, they have to ensure that they create a wire assembly using Wire Harness Components that fit the particular needs of the product. In other words, when designing a product, a manufacturer has to pick the correct components for the product’s particular wire assembly. If the manufacturer chooses the wrong kind of insulation or shielding for the wire or cable assembly, then the product itself may not function properly. 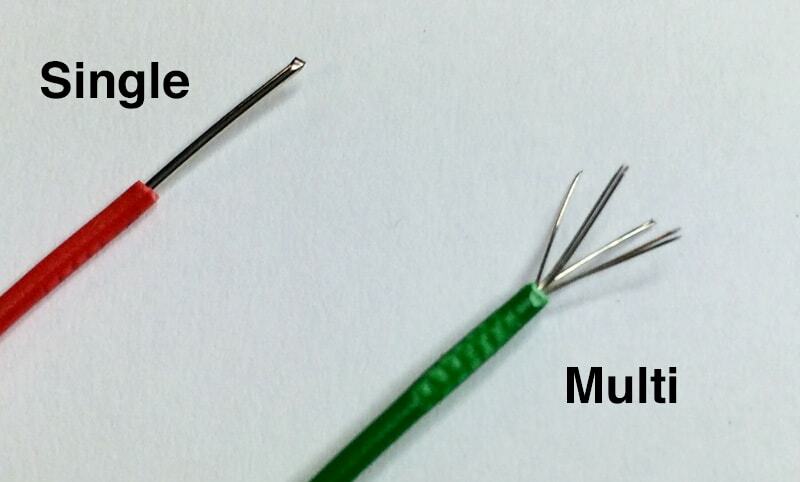 Here are a few key points to remember when choosing components for your wire harness. When choosing Wire Harness Components, it’s critical to make a decision regarding conductor types. There are plenty of options available. For example, copper is a popular choice, since it’s extremely conductive. However, bare copper can corrode easily, so you may want to pick a copper conductor that’s mixed with other alloys or chemicals to help slow down corrosion. Additionally, copper conductors can also be mixed with steel or other alloys (such as zirconium) to help to increase the conductor’s overall strength. Products designed to function within an extreme temperature range require cable assemblies with specially designed insulation. For example, there are a number of materials that can help a cable assembly to withstand temperatures ranging from negative 65 degrees Celsius all the way up to 200 degrees Celsius. Products designed to withstand the elements will require cable assemblies with robust insulation, but if you’re product is meant to be more of a household item, then it probably doesn’t need to be designed to withstand intense temperatures. Need Twisted Cables in Your Wire Harness? Some cable assemblies are twisted together, and others aren’t. So when should you choose a cable assembly with twisted cables? Well, twisted cables are primarily used for telecommunications. When the cables are twisted together, it prevents noises from traveling down a cable (in this case voices) and bleeding into the partner cable. Manufacturers can also use a shielding material, such as metalized foil, to help prevent this noise bleeding from occurring. Once you’ve constructed the physical cable, you’re going to need an outer sheath to protect the cable’s core. Typically, the sheath is designed to be fire retardant, and it’s also designed to withstand a range of temperatures. Outer jackets can be tough and ridged, or they can be thin and flexible. Basically, you should choose a sheath that fits the given product: if you have a product that’s designed to be outdoors in direct sunlight, then you’re going to want a sheath that can protect the cable core from the elements. If you have a product that’s meant to be indoors, then a tough-as-nails sheath is probably overkill. There are, of course, a plethora of connectors currently available on the market. Choosing the right connector all depends on the type and speed of the signal that will travel through your cable assembly once it’s complete. For example, if electricity will be sent directly through the assembly, then you probably should go with a crimp-type connector. Planning on using a high-speed signal with the cable assembly? Then you may need to purchase a solder or welder-type connection for your assembly. This is an absolute must: you must ensure that you apply for a safety certification for your cable. Safety certifications often vary by country, so if you’re planning on marketing this product in multiple countries, then it’s critical that you ensure that your cable meets all of the safety standards of each country where the cable will be sold. Choosing the right components for your cable assembly might sound difficult, but if you make sure to take all of your product’s specific needs into account, it shouldn’t be too challenging to craft the perfect cable assembly for your product. 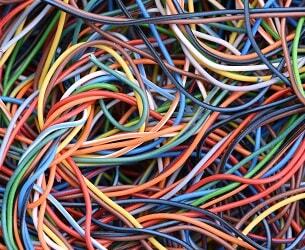 Picking the correct wiring system for your product is an absolute must. 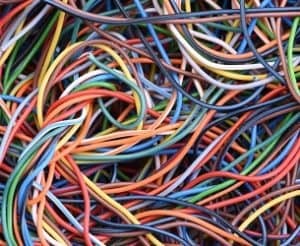 Choosing the wrong kind of Wiring System —one that’s not designed to handle the product’s noted electrical load, for instance—can lead to a commercial setback, as both you and the main manufacturer will have to scramble and waste production time trying to find a wiring system that fits the product’s electrical needs. Instead, it’s important to take your time, and to do your research thoroughly regarding your wiring needs before you pick out a system. Here are a few points to remember when Picking the Right Wiring System. When choosing a wiring system, it’s important to understand your product’s voltage need. Wiring systems are specifically designed to handle certain voltage loads. Wires with a smaller wire diameter, for instance, are intended for lower voltage levels. While smaller wires might be more aesthetically pleasing, they aren’t designed to handle higher loads effectively: this can result in product failure, or worst-case scenario, the wires may seriously malfunction, creating a regrettable safety issue. Wire systems have one main function: to transport electricity from a power source to a given product safely and effectively. The key word there is safely—if a wire system can’t handle a load properly, and a shortage occurs, this can potentially result in damages to the product, ranging from electrical- or fire-based damages. Or a faulty wiring system may result in physical harm to a user. Electrical fires and electrocution are extremely serious, so it’s critical that you choose a wiring system that’s designed to prevent these hazards from occurring. Wiring systems need to be built to last. In short, a wiring system should be able to transfer a full-load of power without overheating. It also needs to maintain that efficient transfer rate for a substantial period of time. A wiring system basically needs to be able to function at top efficiency for years. If a manufacturer uses cheap materials to create the physical wiring and the sheathing, then the wiring system, while inexpensive, probably won’t last very long. Cheap wiring systems will have to be replaced constantly, and if a critical power failure occurs, the resulting short may cause physical harm to both the product and the user. In other words, when choosing a wiring system, go for the systems that can stand up to a little abuse. While safety and durability are more important in the long-run than appearance, it’s also critical to keep a wiring system’s aesthetic appeal in mind too. While you should choose a system that will guarantee overall product efficiency, it’s also a good idea to pick a system that matches the general design scheme of the given product. A sleek or minimalist-inspired product, for instance, probably won’t fit design-wise with a clunky wiring system. When choosing components for a product, it’s vital to keep pricing in mind. For instance, you should look for a wiring system that strikes a balance between effectiveness and cost. You need a wiring system that won’t break your bank, so to speak, but it also shouldn’t be cheap or shoddy. Inexpensive wiring systems might be cheap for a reason: these systems often compromise safety or durability in order to hit that low price. Be open to spending a bit more to find that ideal system, but remember, you don’t have to pay exorbitant prices to find the best wiring system. In a perfect world, you should pick a wiring system that can be modified or upgraded to meet your production needs. 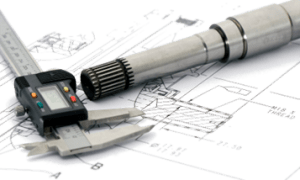 If the system needs to be altered slightly in some way to accommodate your product’s specifications, it should be designed in a way that allows minor alterations without compromising the system’s effectiveness. Choosing a wiring system takes a bit of work. However, if you keep the aforementioned points in mind—and you make sure to do your research beforehand—you’ll be able to find a system that properly meets your production needs.